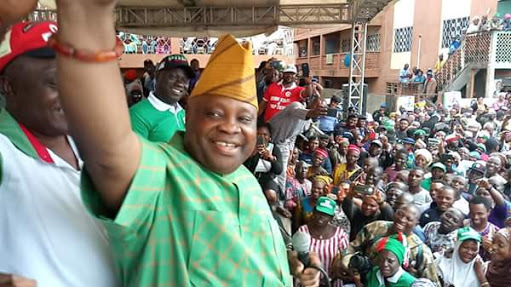 The publicity executive of the Adeleke campaign, Olawale Rasheed, has clarified why Senator Ademola Adeleke of the PDP was missing at the 2018 Osun State governorship banter which held in Osogbo, the state capital on Sunday. “The last village that we attended at Ife East, they were complaining that they had had no light for years, they trooped to the road and blocked our path and this was around 7.30 p.m."
What we did was to send a message to a correspondent of Channels, and later I sent a message to Seun Okinbaloye (Channels presenter). We are just entering Osogbo now as I speak to you.